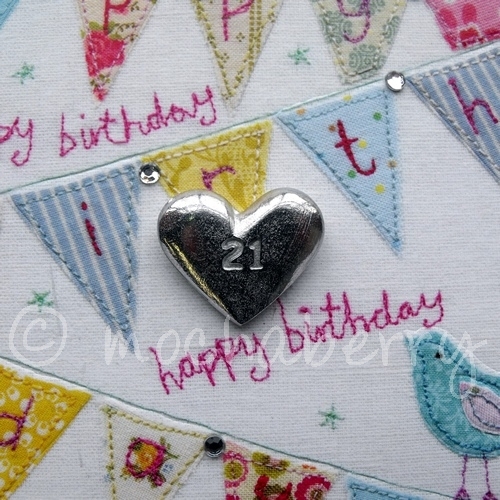 A lovely pewter heart keepsake for a special occasion ... say it with love. 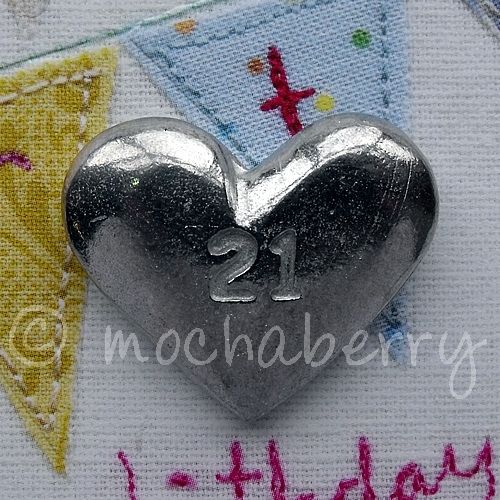 Small solid heart shaped pewter token engraved with: '21'. Handmade in the UK.